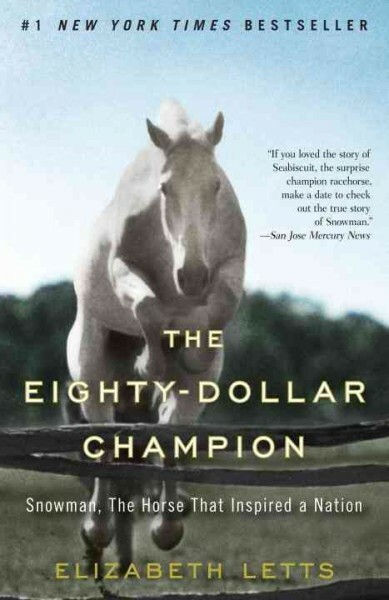 Traces the mid-20th-century story of the champion equine jumper and the Dutch farmer who rescued him from the slaughterhouse, recounting how the farmer discovered Snowman's jumping talents and trained him to compete against the world's most expensive thoroughbreds. Harry de Leyer first saw the horse he would name Snowman on a truck bound for the slaughterhouse. The recent Dutch immigrant recognized the spark in the eye of the beaten-up nag and bought him for eighty dollars. On Harry’s modest farm on Long Island, he ultimately taught Snowman how to fly. Here is the dramatic and inspiring rise to stardom of an unlikely duo. One show at a time, against extraordinary odds and some of the most expensive thoroughbreds alive, the pair climbed to the very top of the sport of show jumping. Their story captured the heart of Cold War–era America—a story of unstoppable hope, inconceivable dreams, and the chance to have it all. They were the longest of all longshots—and their win was the stuff of legend.